The following post is by Jens David Ohlin, Vice Dean and Professor of Law at Cornell Law School. It is sponsored by West Academic. There are multiple approaches to teaching international law. One option is to stick with the doctrine and get students to nail down the basics. While certainly pedagogically sound, this approach can be dull and uninspiring. A second option is to build the course (or its casebook) entirely around a series of problem cases: situations where international law either resolved, or failed to resolve, a particular international controversy. This second option often resolves the problem of being dull, though the success or failure of each problem case depends on the degree to which the problem case catches fire with the students. Some of the problem cases might strike the students as antiquated; events that occurred during the lifetime of the professor might as well be ancient history from the perspective of the student, who doesn’t care whether the events occurred in 1985 or 1945—both happened before their time. Furthermore, teaching the doctrine exclusively through the problem case raises a reoccurring problem with the students. After working through the material, the students worry that they’ve only learned the necessary material required to analyze a particular problem case, which was arbitrarily selected, and they worry that they lack a general background knowledge of the subject matter for that chapter. Or they can’t tell which norms they learned are generalizable to other contexts and which ones only apply to the problem case. This sparks anxiety and uncertainty. The obvious response to these problems is to skip any problem cases that miss the mark or fail to resonate with the students. But if the problem case is interwoven with the presentation of the doctrine in the chapter, the professor doesn’t have the option of skipping the problem case; it is woven into the very DNA of the chapter. What to do? In my own humble way, I’ve tried to find a third way in my own casebook, International Law: Evolving Doctrine and Practice. 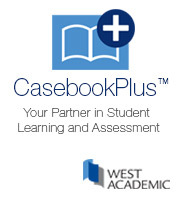 The casebook is designed with flexibility as its goal. Doctrine is presented with a clear and crisp formulation, followed by cases and other materials that show an application of the doctrine. Then, to add flavor to the materials, my casebook includes short, modular problem cases that are less than a page in length—just long enough to give students a chance to apply the doctrine to another set of facts, but short enough that the problem case can be skipped entirely without any loss of coherence to the chapter’s presentation of materials. In so doing, I’ve tried to craft a third way in between the two approaches discussed above. This third way avoids the dullness of a doctrine-heavy, treatise-like casebook, while at the same time, it avoids the problems of generalizability that problem-oriented casebooks sometimes suffer. Of course, not everyone teaches international law in the same way, and a diversity of approaches is a good thing. But like goldilocks, the result I hope is something that is “just right”: enough doctrine for those who want to focus on the case law, rules, treaties, and custom, and enough examples and problem cases so that students appreciate that international law is called upon to resolve the most pressing and urgent global problems of yesterday, today, and tomorrow. Interesting post , yet , whatsoever , one must differentiate between , learning just for passing the exams , and learning for actual practice . In this regard , it is , generally speaking , not less important , to grant students with the capacity , to quickly assimilate and interiorize and navigate within huge data bases and cases and laws and jurisprudence , and master quickly , a given case ( like what is needed from judges for example ) . When they reach such mastery , the anxiety and fear or alike , would fade out , and self esteem , self confidence , shall replace it , they shall ride then , further far greater better the highway . Briefly put : How mastering a case , efficiently , swiftly , from zero momentum almost ( theoretically zero ) . Finally , they pass exams , and tend anyway to forget in time the materials …. P.S : although , international law , is more than bit different ….but very complicated .